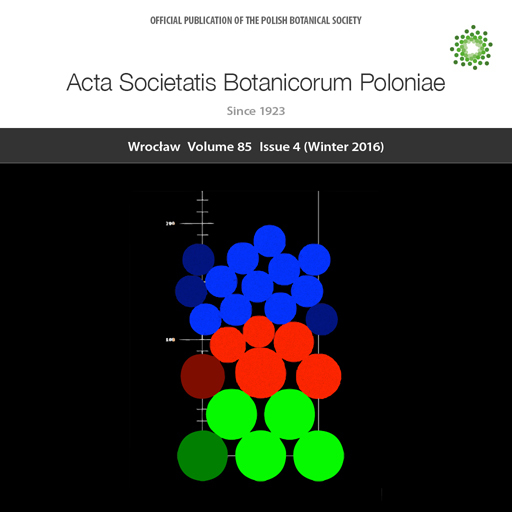 On the cover A computer simulation of phyllotactic transition frequent in the main axes of dicotyledonous plants and in lateral shoots of conifers. Rectangular simulation space represents the split-open surface of cylindrical shoot, stacked disks – the primordia of lateral organs. The initial 2:2 decussate phyllotaxis (GREEN DOMAIN) transforms into 2:3 helical one (BLUE DOMAIN) through addition of one parastichy inclined to the left (γ-dislocation). This is due to quite rapid, yet continuous decrease in the size of primordia (RED DOMAIN), changing their identity from cotyledons or prophylls (GREEN) to the leaf proper (BLUE).